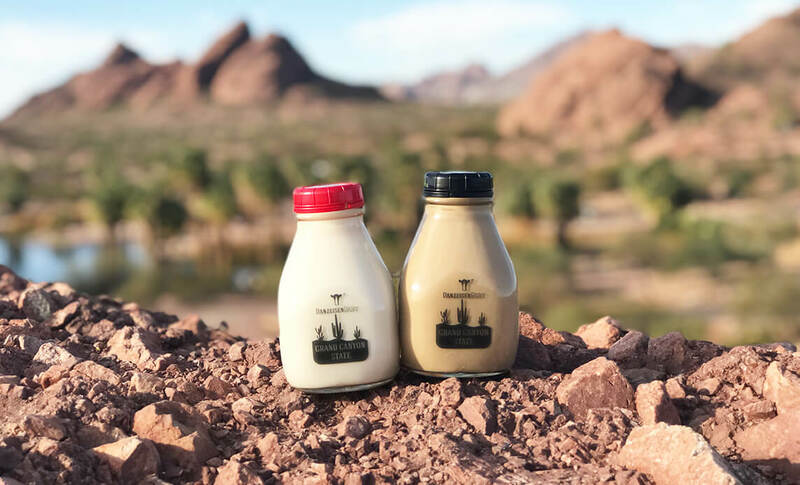 Ideas Collide made a large impact in the operations of a small local business: a family-operated dairy farm located in Laveen, Arizona. 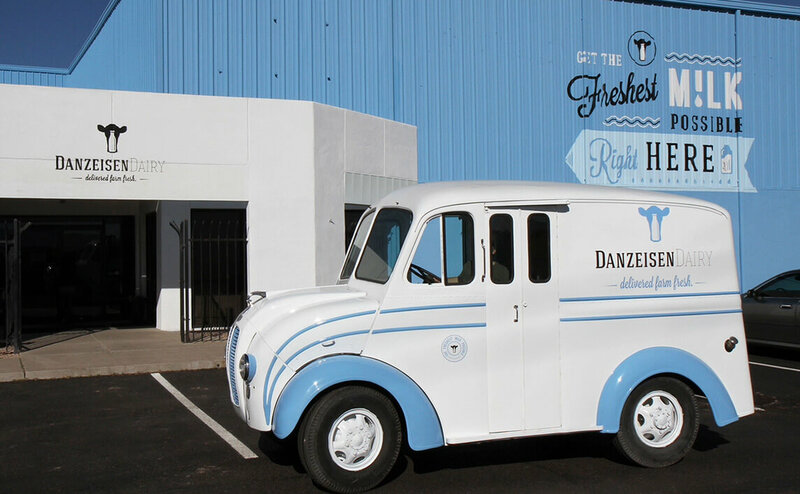 While Danzeisen Dairy has been producing milk for the local dairy cooperative since the 1960s, in 2014, the brand decided to diversify and grow its business model by launching the sale of milk under its own label. Ideas Collide was enlisted as the dairy’s full-service marketing partner for the new product launch and was charged with market research, building a comprehensive brand identity, developing a plan to secure store placement and executing a smart digital content strategy. "The Danzeisen family takes exceptional care of their cows because they believe healthy cows produce the best tasting milk." The Danzeisen family takes exceptional care of their cows because they believe healthy cows produce the best tasting milk. 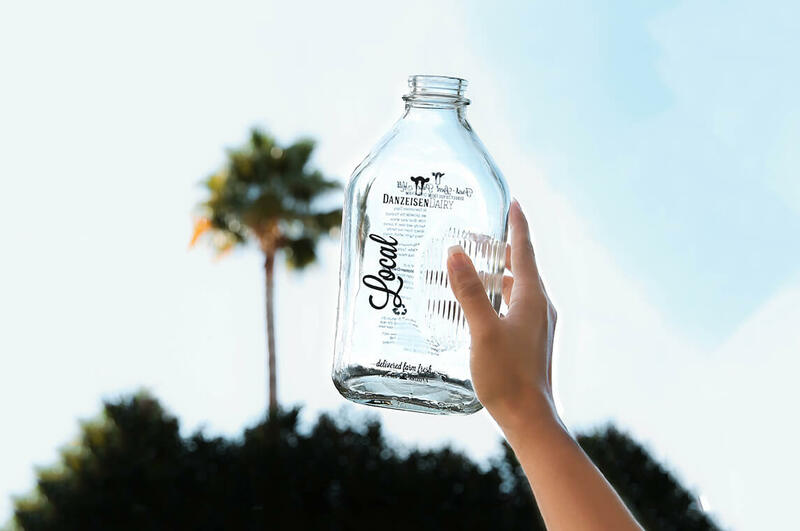 There are numerous benefits of bottling milk in glass instead of plastic containers. Danzeisen Dairy is involved in the community and believes that being a good neighbor is a part of running a good business. 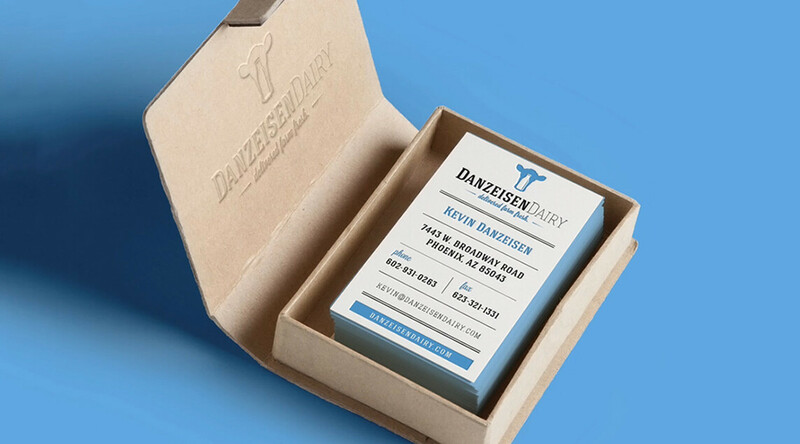 Ideas Collide created a suite of marketing assets to help Danzeisen Dairy launch its new brand and developed a marketing strategy to maintain the brand and grow the business. 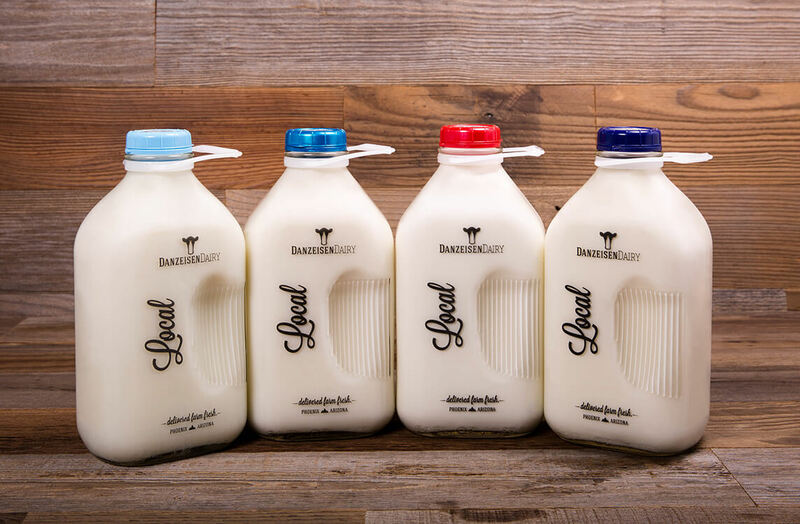 The agency created a clean and simple design of one of the dairy’s key attributes: offering milk in glass bottles. 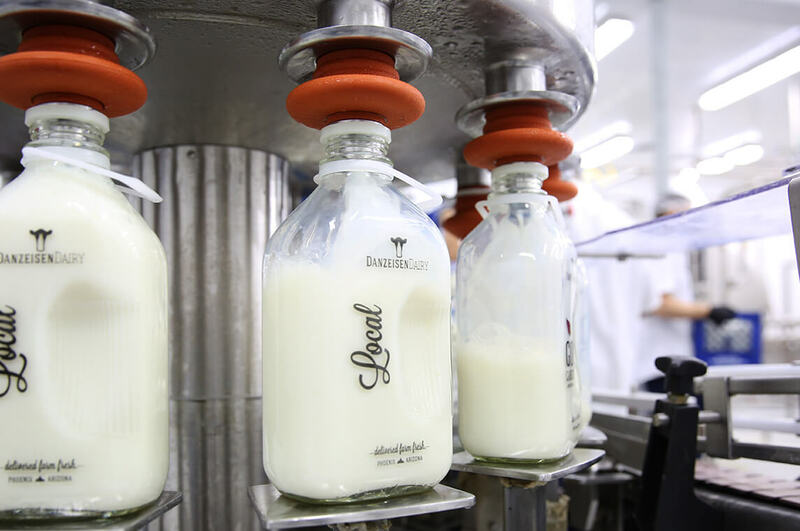 The bottle was designed to draw attention to the locally produced, fresh milk. The design was printed directly on the bottles, which eliminated the need for labels so the bottles could be reused. 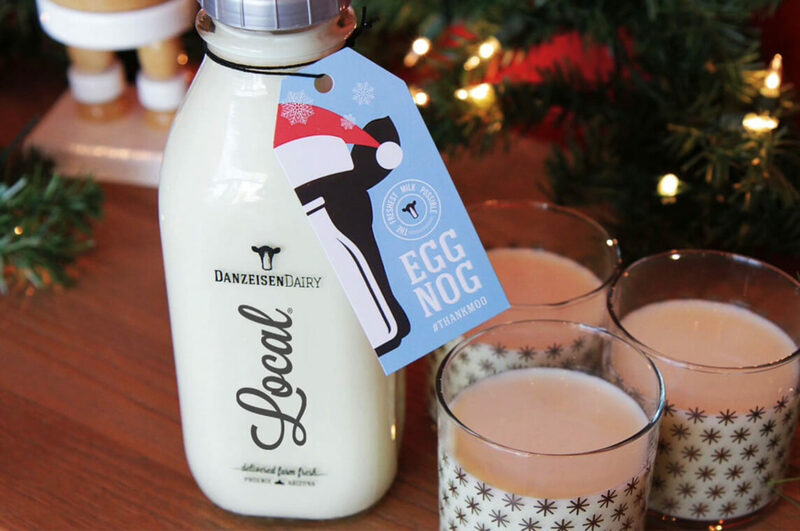 In addition, playful bottle tags were designed and attached to specialty flavors including Arizona Orange, Mocha and seasonal flavors like Eggnog. 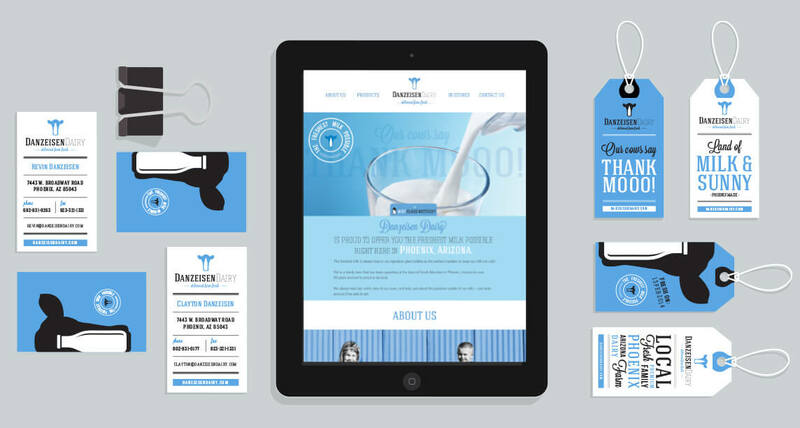 The agency produced a customized website to highlight the dairy’s simple approach to local, fresh products. The website was crucial for attracting potential vendors, so the design and functionality were streamlined for quick and easy access with a modern touch. 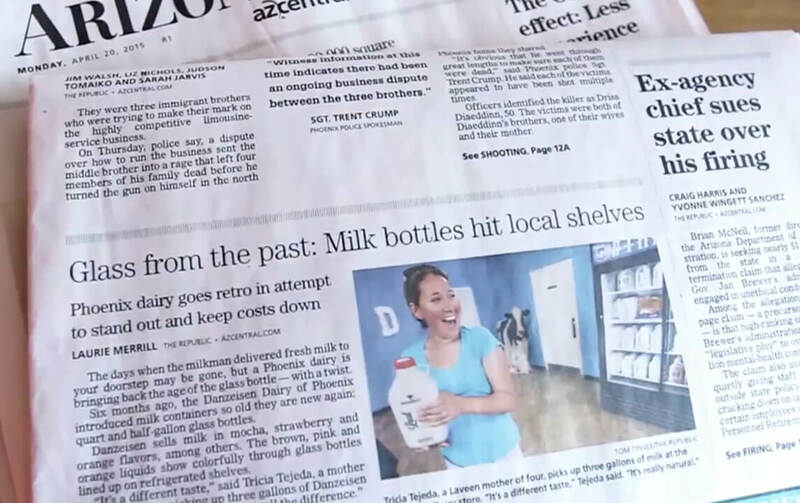 The agency’s PR efforts created greater brand awareness across the state of Arizona and within the dairy industry nationally, and also allowed transparency into the dairy’s operations and bottling processes. Key media stories revealed insights into why cows wear pedometers, how flavored milk is created and how the pasteurizing process works. Branded social media graphics and posts inspired a passionate community of brand advocates and provided a hub for customer service inquiries and product announcements. 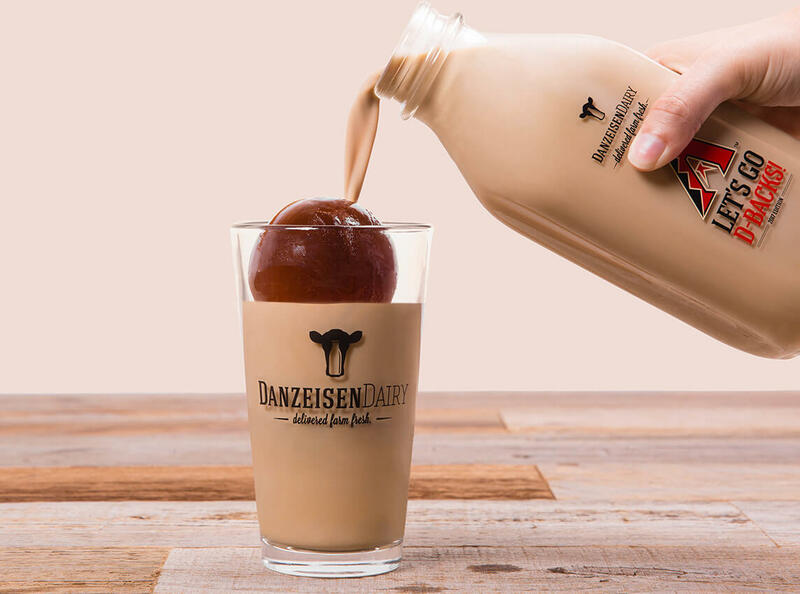 The photography featured on Danzeisen Dairy’s website and social channels are thoughtfully planned, staged, shot, and edited by the agency to ensure a consistent creative look and feel that aligns with the brand. The videos, animations, and motion graphics Ideas Collide creates for Danzeisen Dairy helps to tell the brand story, increasing customer engagement. 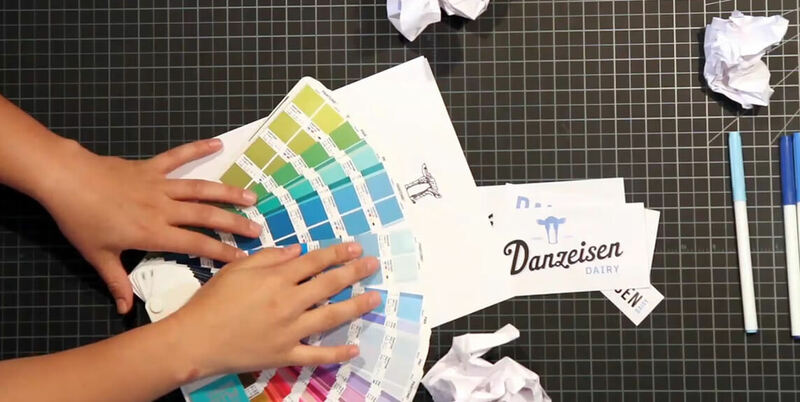 This overview video shares a behind-the-scenes look at how the Danzeisen Dairy brand went from ideation to execution to impact. 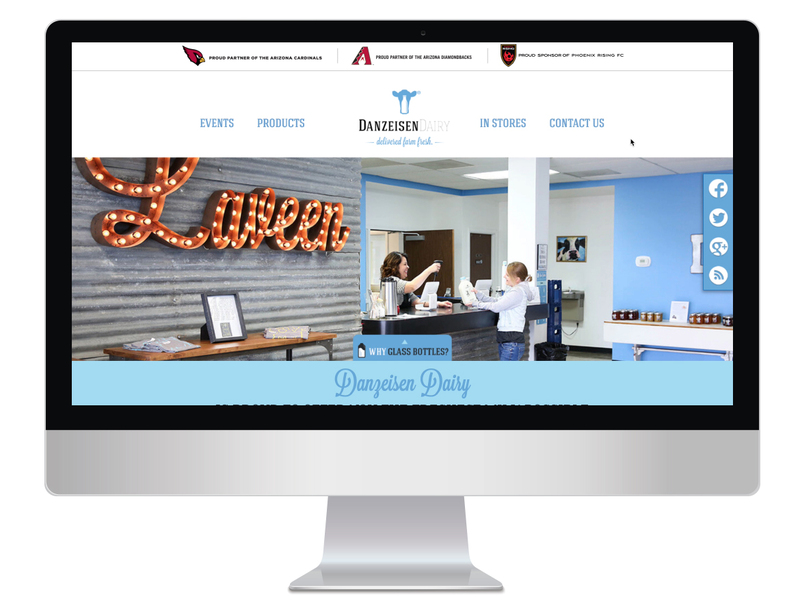 A short video was created to increase excitement of the partnership between Danzeisen Dairy and the Arizona Cardinals. The video was shared among various media and social channels.